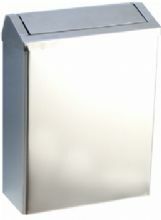 With tilting top lid, removable for cleaning and maintenance. Anti-burr treatment in all contact areas to ensure safe use. 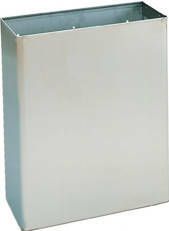 Suitable for interior spaces in all kinds of public buildings like offices, workplaces, schools, etc. Equipped with interior hooks for holding bags.